Sorry, Laughing Stock Vineyards does not ship wine to United States. A blind trust is a financial trust in which the executors have full discretion over the assets, and the trust beneficiaries have no knowledge of the holdings of the trust. Our Blind Trust is a wine in which the winemaker has full discretion over the blend so you’ll just have to trust us. This year’s combination of varietals offers a bright, vibrant display of acidity and fruit flavours. A nose of grapefruit and violet opens up to peach and lime zest, from the layers created by this unique blend. Winemaking Notes: Our winemaking choices for this vintage include whole cluster pressing for a fresh fruit profile and settling the juice with no skin contact. Much of our winemaking approach relies on blending which brings together the unique characteristics of each varietal and creates layers of flavors and complexity. As well, we employ a range of aging strategies including some barrel fermentation in both barrels and puncheons (double the size of a regular barrel) to combine with the stainless steel portions. If you want to blind taste the Blind Trust, read no further. 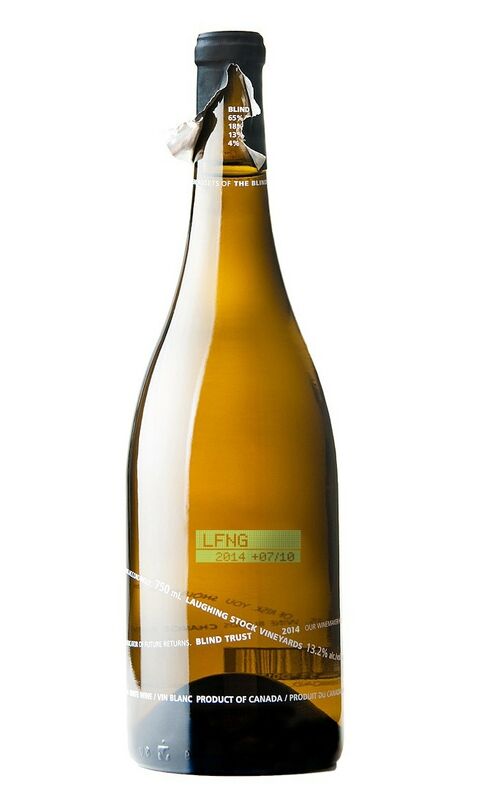 Spoiler alert: the blend is 50% Pinot Gris, 20% Viognier,18% Pinot Blanc, and 12% Roussanne.